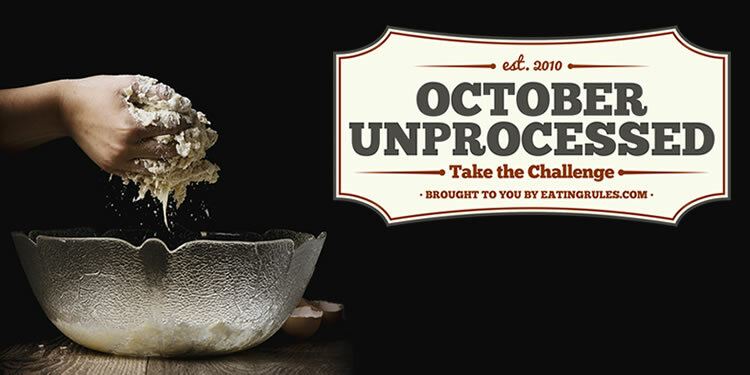 Home » October Unprocessed Posts » We have a theme song! 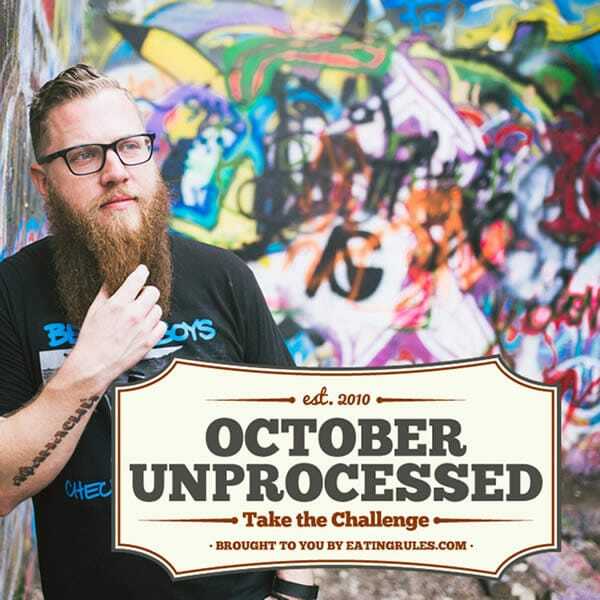 A few years ago, Jamey Bennett took a leap of faith and decided to take the October Unprocessed challenge. Being the kind of guy who approaches everything he does with an intense enthusiasm, he fully embraced the challenge. Not only did he change how he eats (losing weight and getting much healthier in the process), he also started a Facebook Group that has since grown into our official group. In 2014, he shared the story of how unprocessed eating changed his life. Jamey just took it upon himself to create an October Unprocessed theme song for us. How cool is that?! Take a listen below (it’s freakin’ awesome! ), and then check out the other music Jamey creates as part of the unconventional hip-hop duo, Royal Ruckus. And, if you’re so inclined, you can buy a high-quality download of the song, naming your own price, to support Jamey and his music. Then listen to it any time you need a little extra encouragement to help you stay on track! Lyrics and vocals by Chunjay of Royal Ruckus. Music by Grizzly Beatz. So the first tip is: could you make it at home? With real ingredients? not some synthetic clones? Is it a whole food? How was it produced? And what are its benefits when it gets used? When you’re trying to choose, why don’t you log on? How cool is that? Thanks Jamey Bennett for spreading the word. Andrew has encouraged many of us to use our talents to teach others. October Unprocessed RULES !!!! Thanks, Colleen! It’s really made a difference in my life, and I care about the topic. Andrew has been so kind to me the last couple years, I just knew this would be a fun project to do, and I have the equipment so why not! 🙂 Thanks for enjoying and sharing! Thanks, Aisling! Share the song with others, please, and encourage them to take the challenge! And maybe share http://summerofthecicadas.com with friends! While Hip-Hop isn’t exactly my style, I LOVED it! Thanks, Jamey! Here’s hoping October trickles on out when we get into gear! Cheryl, hip-hop music is not for everyone, but I’m glad you enjoyed what I put together! I tried to be as happy and positive as I could be and reach as broad an appeal as possible! This unprocessed idea deserves to be heard by as many people as possible, and I am happy to help a little bit! 🙂 All the best to you! Thanks, Sarah! I really appreciate your encouragement! Please share with friends! I am so shocked! I follow Rukus on Instagram and was shocked to see him here. I LOVE IT!!!!!!!!!!!!!!!!! !